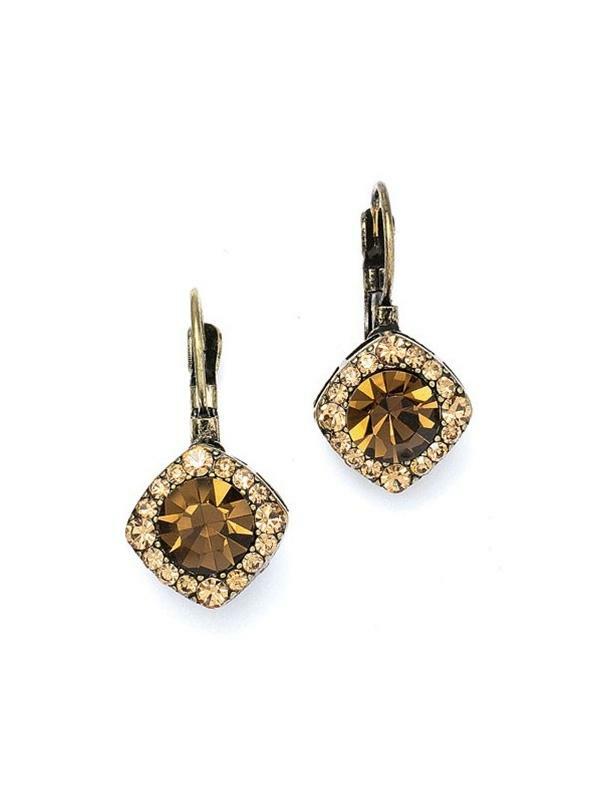 A beautiful and lovely pair of vintage inspired smoked topaz crystal drop earrings to compliment your entire outfit on your wedding day! 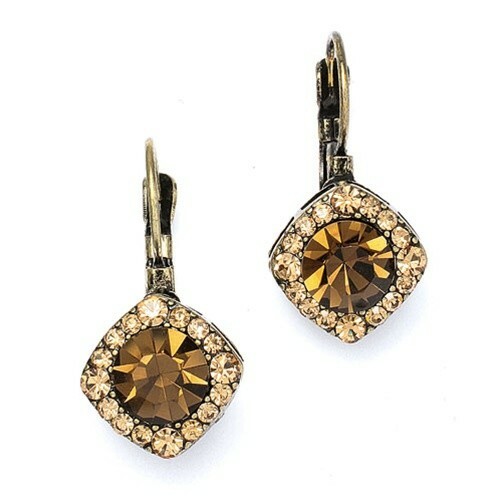 A beautiful and lovely pair of vintage inspired smoked topaz crystal earrings to compliment your entire outfit! 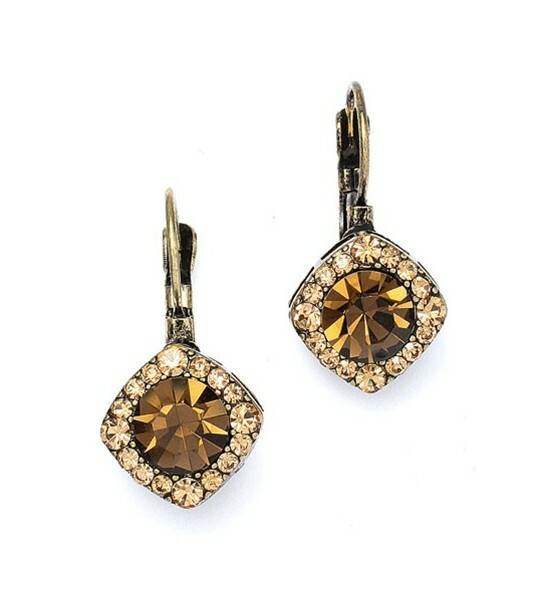 Choose this beautiful pair of vintage inspired smoked topaz crystal earrings for your wedding or party to create a fabulous and glamorous look on your special day. 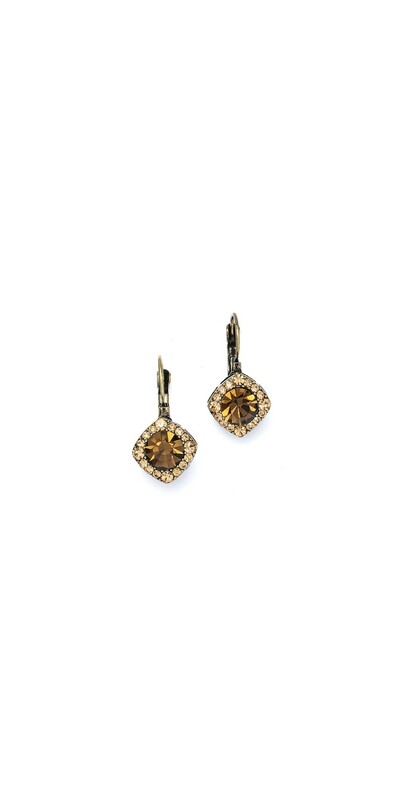 Measuring 1/2'' and featuring round solitaire smoked topaz crystals framed with pave light colorado crystals, these stunning earrings are available in a variety of colors and are perfect for second time around brides or mothers of the bride.